With the upcoming update, Google Maps will now give you real-time notifications while you are on a journey. With the new update, Google will make travelling to unknown places easier than ever with live guidance and real-time alerts. You will get these updates while on the move. 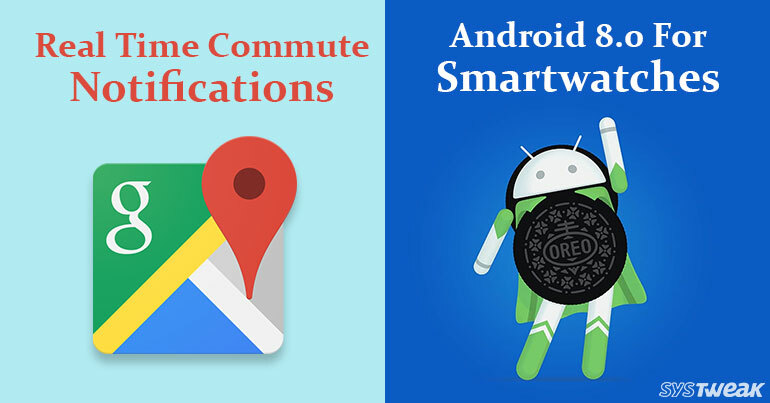 The updates will appear in Google Maps app and might also appear on Android lock screen. In other words, Google Maps will remind you that you are at your destination and that you should get off the train or bus. This will really work when you are new to the town or too sleepy to stay attentive. A notification will pop-up on your Android lock screen. Moreover, it will show your journey steps. The update will go live soon as Google might be getting it ready as it seems they have been testing the update outside the trusted tester community. To begin with, you can input your end point of the journey in Google Maps. It is all the same, up till here. With the new update, you will get to tap “Start” button located at the bottom of the screen with detailed description of your transit journey. You will get live updates as you walk or ride on buses and trains. Google Maps has been a very good mate on a journey with detailed journey directions. It enables you to track your own process along with the route. With the update, you will get detailed notifications while using Maps for biking, driving and even walking. A beta version of Android 8.0 for Android Wear was launched followed by Android 8.1. Succeeding the Android Oreo launch, Google released Android Oreo for Android Wearables after the beta version of course. With the updates, you get conveniently great features. With Android 8.0, a notification channel support which gives more granular on-device control over the app alerts. It also doesn’t consume much of battery. A feature Battery saver can be turned on by toggling a switch Under Settings. Moreover, you can now control the duration of vibration while giving alerts on your screen with Vibration Pattern feature. You can disable the feature tap to wake with “Touch lock”. With all this, Android Wear giving support to new languages of seven countries such as Belgium, Nigeria, El Salvador, Honduras, Czech Republic, Portugal and Paraguay. So, with all the updates, your smartwatch will run a bit smoother and probably won’t make you run for your charger more often. WHICH OF THEM MADE THE LIST? Although, some of the other popular brands like ASUS ZenWatch, some older LG and second gen Moto models are missing from the list.